US region. Complete season. Episode 1 and Season pass also available. EU region. Complete season. Episode 1 and Season pass also available. Complete season, Episode 1 and Season pass. Episode 1 available for free. This will only remove the Unreal Engine logo at the beginning. 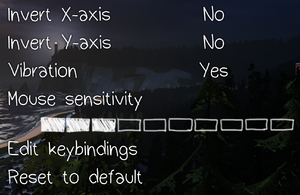 Use the Level of detail setting ingame. The highest setting gives 16 samples. To set manually, see Anisotropic filtering (AF). FXAA, MSAA, and CSAA. Some of these are reported broken after latest patch. Can see SMAA for workaround. Open LifeIsStrange.exe with a hex editor such as HxD. Find the hex values 39 8E E3 3F. Change it to your aspect ratio (e.g. CD 90 18 40 for 21:9). 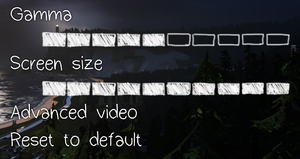 Change the in-game FOV to 83.93 (see Field of view (FOV)). 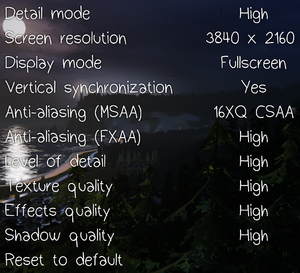 The original FOV for 16:9 is 25 in (some?) cut-scenes, 68 during gameplay. Run the game and try from F1 to F10 at any time. Changing the FOV causes the interaction widget to scale incorrectly. Some visual glitches might occur during cut-scenes with increased field of view, such as some intentionally invisible parts of the screen being visible to the player. Change MaxAnisotropy between 0 - 16 under [SystemSettings]. 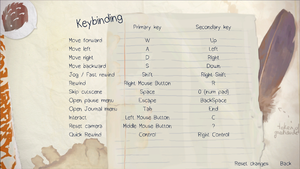 Locate line bEnableMouseSmoothing=true in the [Engine.PlayerInput] section and change it to false. Choices for three sizes and overlay. Japanese Language Pack is region locked to Japan, but can be bypassed with steam://install/425570. Only available for Windows. 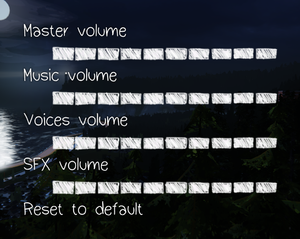 Use Helix Mod: Life Is Strange (All Episodes). Affects photo cutscenes and EP4 ending cutscene. Cutscene audio may stutter followed by a BSOD crash (DPC_WATCHDOG_VIOLATION). See Microsoft Windows article how to change systems non-unicode language and how to use AppLocale. Use AppLocale with Japanese language. Change systems non-unicode language to English (United Kingdom/United States) and reboot the system. Intel HD Graphics 4000/5000 require at least 8 GB of RAM. 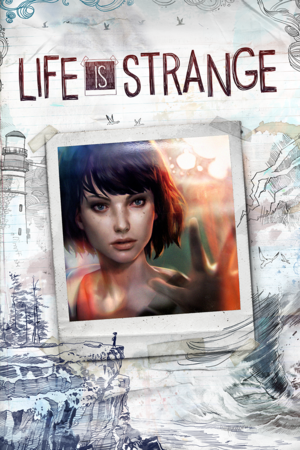 ↑ Life Is Strange on Twitter: "@ScottMcKenzie91 Hello, it will require Steam to launch. Payment is taken 10 days before dispatch." This page was last edited on 2 March 2019, at 11:22.